About us, the quality news source around the world. Keeping its readers up-to-date, about what’s going on. http://dailyinformers.com explains the stories of world e.g. breaking news, sports, fashion, life style, fitness, movies, sports and almost everything for its readers. It keeps its readers up-to-date. Daily informers deliver the latest updates on international issues with photo, audio and video. Daily informers struggle to be very accurate. 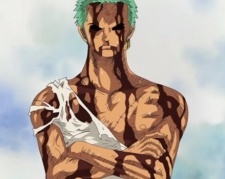 That Zoro article you wrote was really good. Keep it up! Ah, nice article about Zoro. Keep up the good work! bruh, just saw your attack on titan recommandation article, Blue gender and gurren lagann arent from winter 2016 and they arent done by polygon picture. ._.